No doubt some of us are needing this this morning! 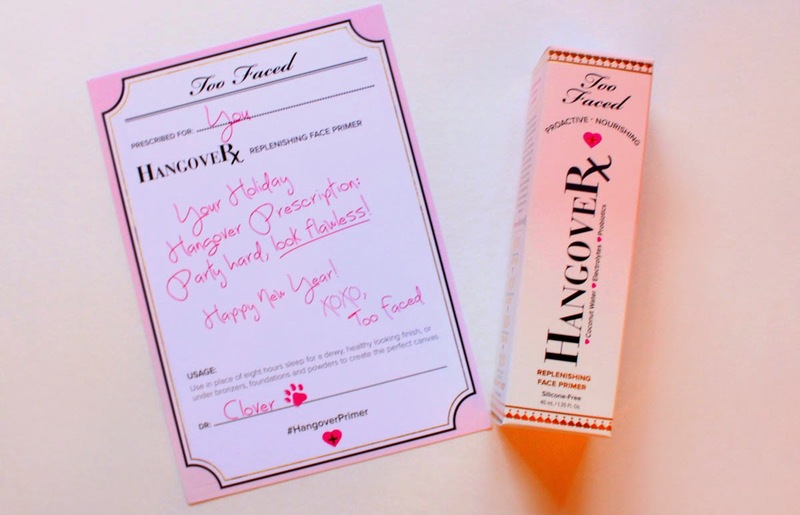 I couldn't think of a more fitting product to start off some New Years reviews with than Too Faced Hangover RX. It's not "new" per se but it's new to my face and one you'll likely want a daily prescription of. Usage: Use in place of 8 hours sleep for a dewy, healthy looking finish, or under bronzers, foundations, and powders to create the perfect canvas. 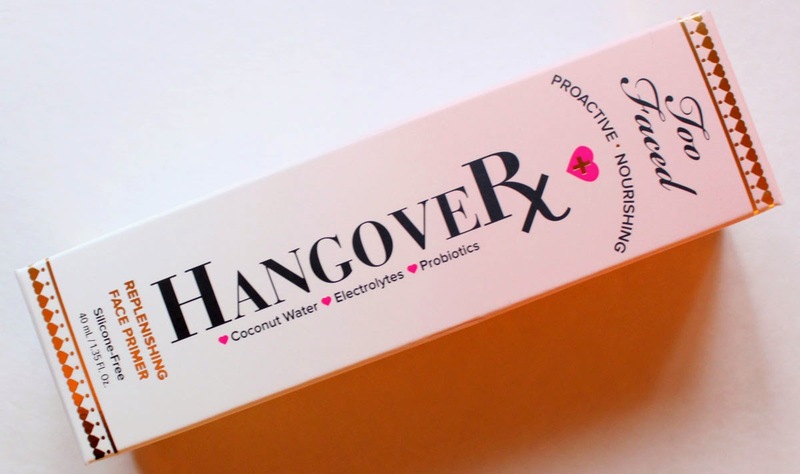 Cure your next beauty hangover with Hangover RX, a revolutionary makeup primer that's infused with coconut water, a probiotic-based ingredient, and skin revivers which work together to boost skin’s radiance, promote elasticity, and help hydrate while locking down makeup for fresher, longer, and more flawless wear. Too Faced harnessed the science of hydration to create a creamy, penetrating primer that acts like an energy drink for the skin by replenishing moisture levels. It can be worn alone for a dewy, healthy looking finish, or under bronzers, foundations, and powders to create the perfect canvas. One reason I skip primers in my routine is because they're usually loaded with silicone's that cause breakouts or just feel unnaturally slippy. You know what I'm talking about...your face just shouldn't feel that way, it's so weird. There are no silicone's present in Hangover RX so it doesn't feel heavy and absorbs right in to your skin. It applies and feels like a light moisturizer that dries as a primer. The light texture smooths out your skin leaving it soft to the touch with a natural finish. I see a definite boost in how my skin looks and the longevity of my foundation when I use this. Like a drink of coconut vitamin water and a night of sleep. It also smells like a tropical beach vacation..which I'm totally dreaming of right now in this 30 degree weather. Both Oily and Dry skin types would benefit from this primer because it is so light and effective, especially for Winter when you want that extra hydration. It keeps oil at bay while smoothing dry patches. What I really like is the fresh and natural finish that doesn't isn't overly matte. 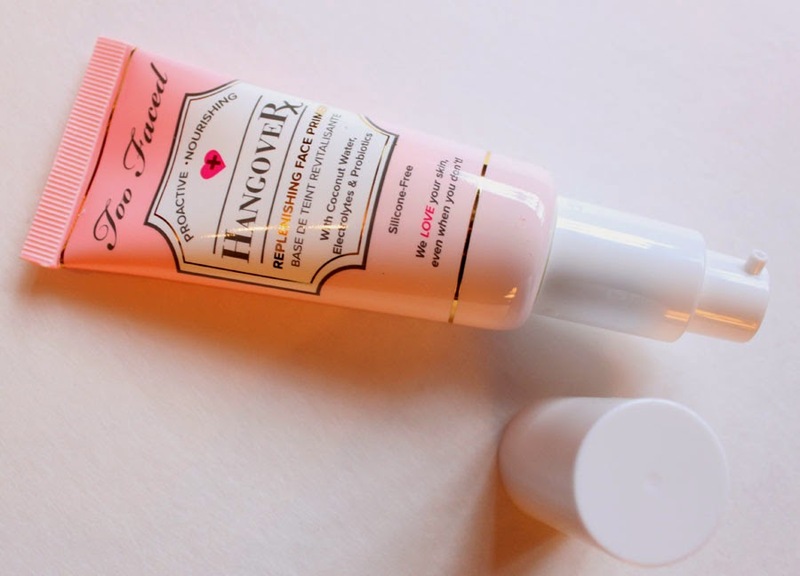 If you dislike traditional primers for their pore-clogging weird slip formula's you won't be disappointed by Hangover RX, it has the performance of a primer with out the negative quality's. No need to go out on an all night bender..but if you did last night, this will help!